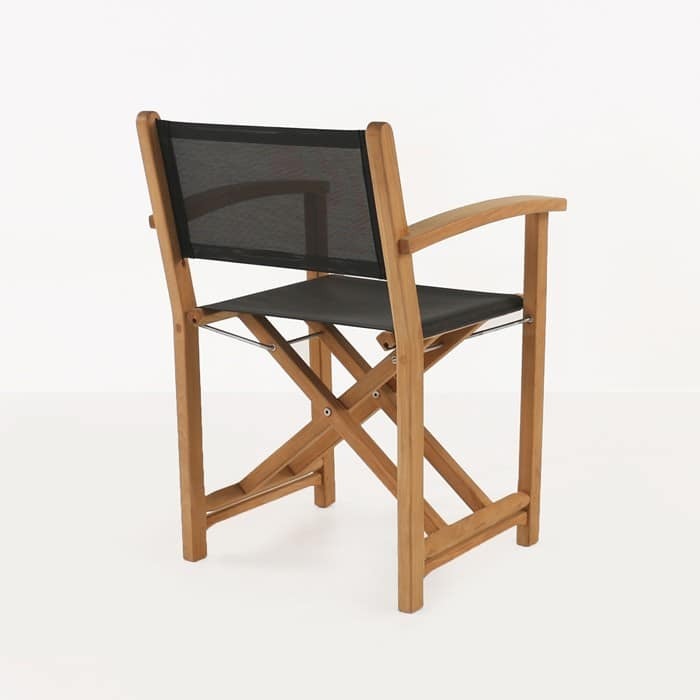 This teak and mesh outdoor dining chair is sophisticated, yet has that cool, laid-back vibe that works so well for outdoor dining spaces. 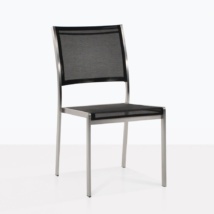 Not only does this chair have good looks, it functions and meets all your outdoor dining needs. It is crafted with durable materials and folds for easy storage. 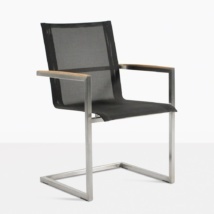 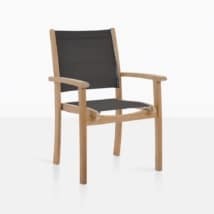 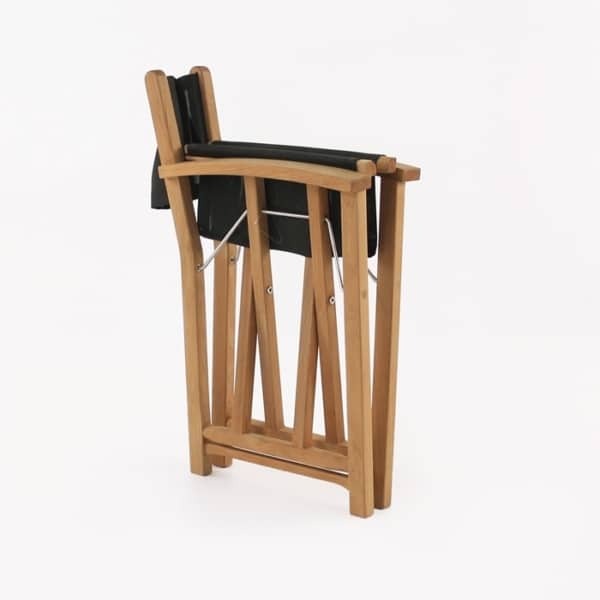 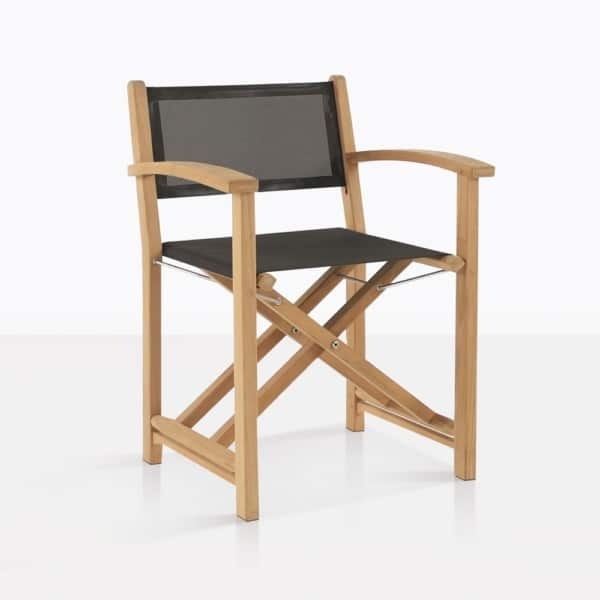 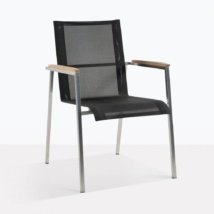 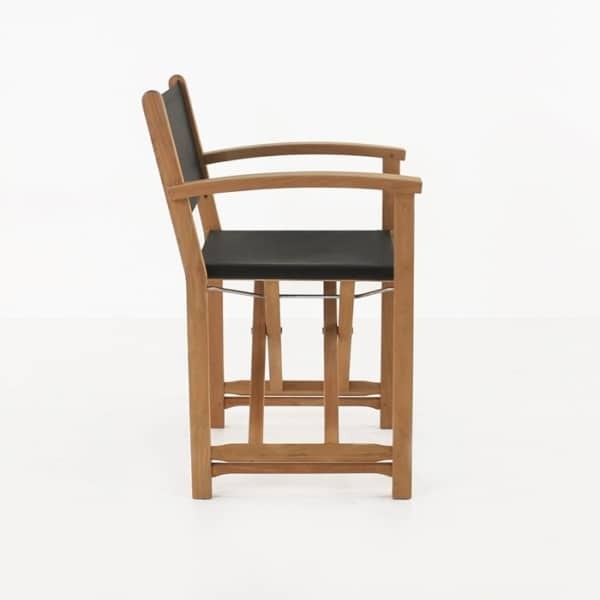 The Cannes Directors chair is made with a-grade teak, batyline mesh and 316 marine grade stainless steel fittings. The black mesh is striking against the warm tones of a-grade teak. 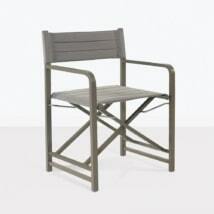 Not only is it a popular chair for patio dining, it is also often chosen for boating furniture. W24" x D21" x H33"